The options available for bathing fixtures in today’s home will amaze you – Let the experts at Handy Man show you the features and options that will make you love your new bathtub! 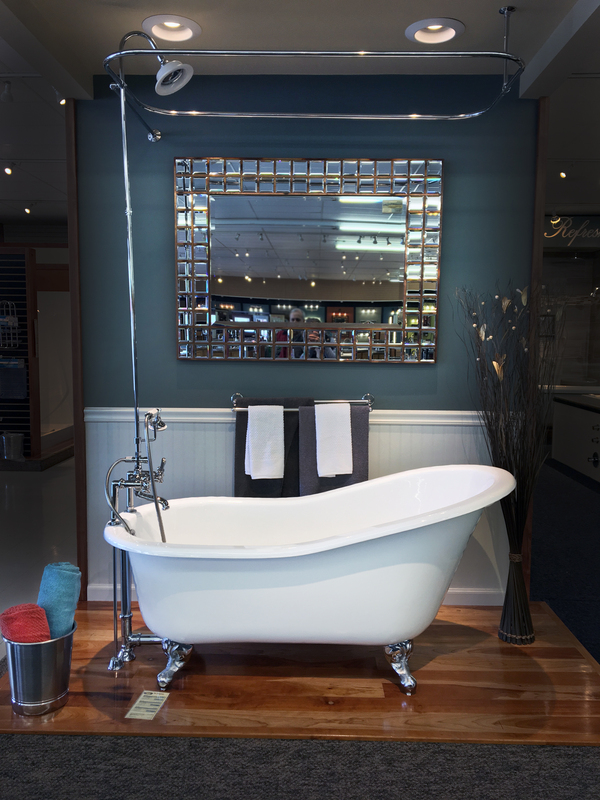 Our bathing fixture displays are the best in the entire region! Everyone knows that a warm soothing bath will relax muscles but a bath also restores the body and renews the spirit. Studies have shown that mental stresses will diminish as the body relaxes. To really get a feel for how a whirlpool or bathtub will look and operate in your home, you need to be able to experience the tub’s size, materials, textures and colors for yourself. Handy Man’s bathing fixtures are displayed at floor level, just like in your home, not mounted flat on a wall high above your head like at the big-box stores. 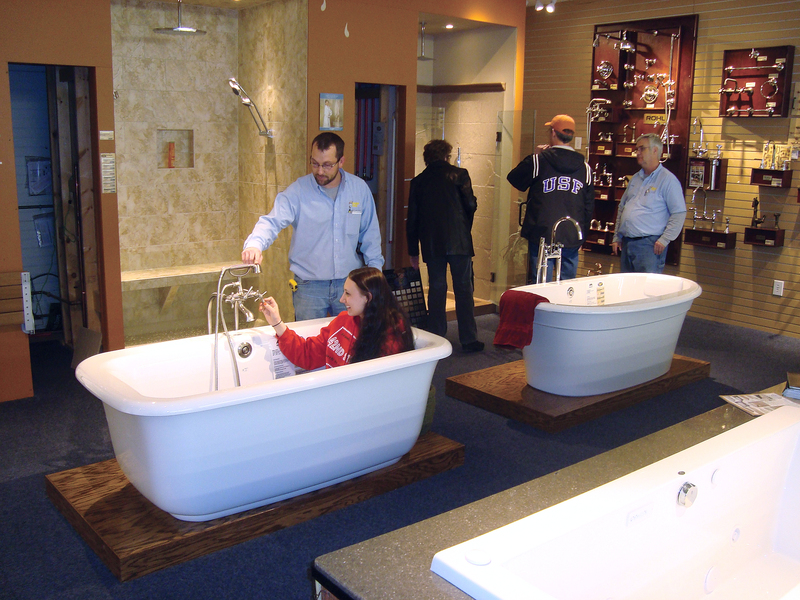 We invite you to come and sit in the display tubs on our showroom floor so that you can personally test the size and fit of the tubs you are interested in. We have several whirlpools installed with running water that enable you to see and hear the jetted water action and the quiet sounds that the latest hydro technology provides. Come into our store and even try out the tub filler faucets for yourself (we have working faucets and whirlpool tubs in our showroom. You won’t find a better selection of bathing fixtures to choose from than at Handy Man. The ancient Romans knew how important it was to invest in their bodies. They organized their lives around the bath. Our expert staff will help you with a ‘checklist’ to help make sure that you end up with the bathing fixture of your dreams. 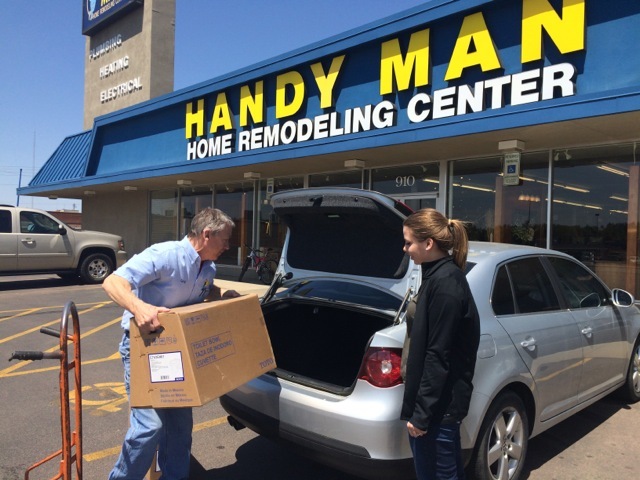 Handy Man’s staff is friendly and smart and we want to help you select the bathtub that is right for you. We try to greet every customer that comes through the door and ask them if we can help, but we respect your personal space too, realizing that sometimes you just want to look around on your own. If we don’t have the right answer for your project, we will do our best to help you find it! Handy Man sells hundreds of bathtubs and whirlpool tubs every year, we are your local experts! Play around in the water of our live, working, on display showroom. We will help you with any size project. Sometimes you’re operating with a small budget; we can help you with that. 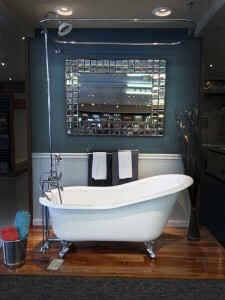 Sometimes you are designing an elegant bath retreat, we can help with that too! At Handy Man, we offer options for any budget, from a few hundred dollars to over $10,000.00 and everywhere in-between. Handy Man will help you create the bathroom suite that is right-sized for your home and lifestyle, with quality, time-tested products that will serve you for years to come. We stock and display drop-in tubs, alcove units and stylish free standing tubs as well as several models of walk-in tubs that are convenient and can help you stay in your own home longer as you age. 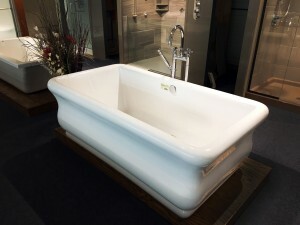 At last count, we had over 12 different bathtubs and whirlpools in stock and on display! Come in and take a look! We purchase our bathtubs and whirlpool tubs directly from the manufacturer giving you the best products at the best prices. In fact, we guarantee to match any local competitor’s prices on identical products. We keep our company on the cutting edge of new products, technologies and current trends. Handy Man stocks a full selection of whirlpools and bathtubs that are ready to pick up when you are. At Handy Man, we supply our customers with quality name brands with excellent track records. Bathing fixture brands like Jacuzzi, Kohler, MTI, SanSpa and Barclay, to name a few, have supplied our store with reliable products that we are proud to provide to our customers. We constantly add new tubs with features that we know our customers will want to see, such as soaking baths, whirlpools, air-tubs and combination units that do it all. Our Handy Man staff will gladly help you find the best way for you to complete your installation. Many of our customers will install their new bathtub or whirlpool themselves after a few tips from our in-store experts. For other customers, the best answer is to hire a licensed professional installer from our approved list of installers and contractors. Our goal is for you to have a quality fixture in a bathroom that looks great and functions perfectly. One that will last for many years to come. Things don’t always go as planned in a remodeling project. If you are disappointed in how your new tub is working in your home, please let us know and we will work on finding a solution that satisfies you. Our goal is to have satisfied customers for life!